In the 19th C cotton was a global commodity economically connecting nations and people all over the world. Cotton and the Industrial Revolution whose textile mills it fed were a major source of the expansion of capital in these years. During this time period it was America's most important export. Once cotton left the plantations where it was grown (e.g. the American South, India, Egypt, Brazil, etc.) 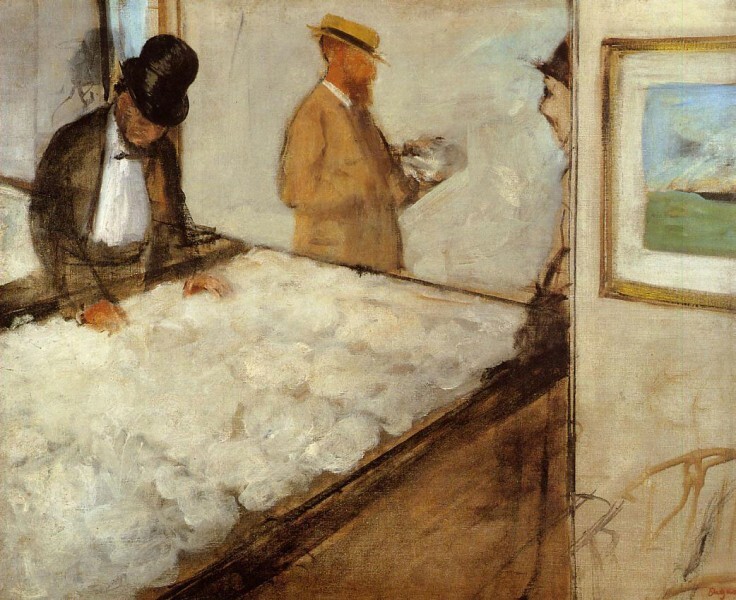 it entered the world of the cotton brokers, merchants, buyers and speculators. 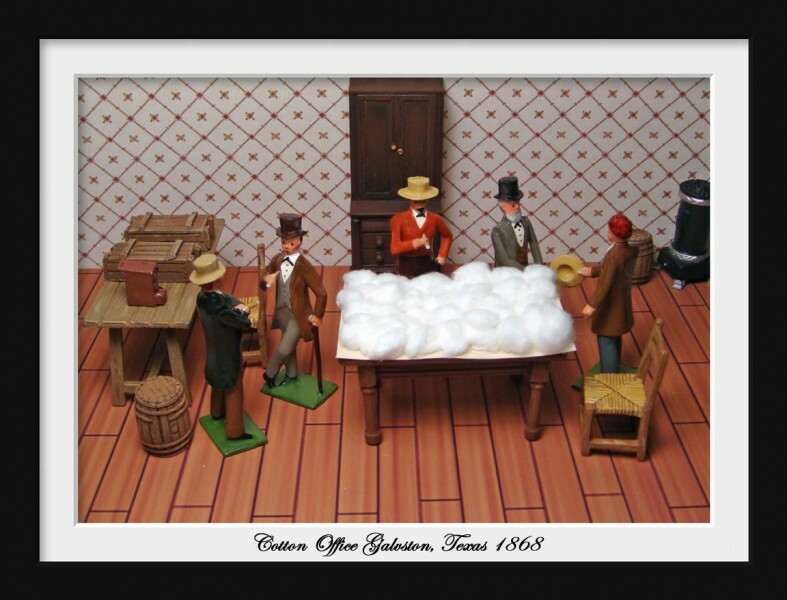 Below is a scene of one of the cotton offices found in the American South: this one in Galveston, Texas where a group of businessmen have gathered to examine samples of the crop grown in Texas during Reconstruction after the Civil War. An office such as this would include not only local individuals but representatives from mills in Massachusetts or factories in England. 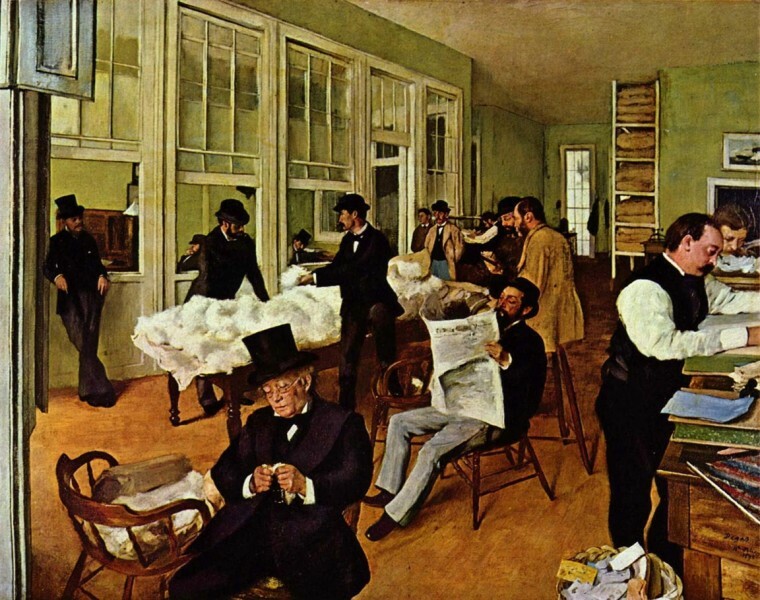 Edgar Degas, the French Impressionist painter, had relatives in New Orleans and while visiting them in 1873 painted scenes of the cotton exchange that were my inspiration for my diorama.